Design touches for more elegant marquees. Curtains and drapes to make your marquee stand out. The basic structure of the marquee is the framework and cover. If you simply require an industrial or commercial marque that’s probably enough. 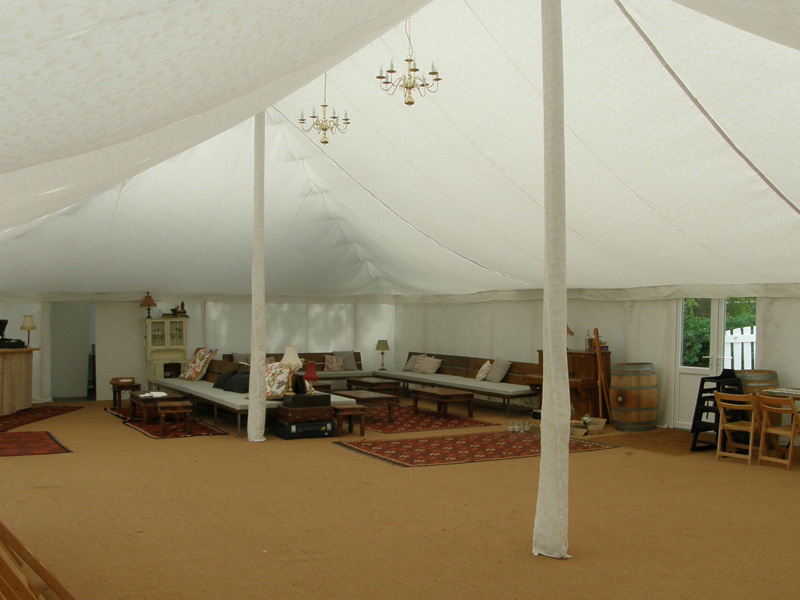 But marquees used as event spaces, for weddings and other parties, need to be a little more elegant and stylish. Here at Weatherill Brothers, we can design and hand build marquees with custom linings and lighting options. Plus, we can build in windows and doors, to allow natural light in too. In fact, we can make marquees look so beautiful that your guests won’t even realise that it’s only a semi-permanent space. To dress the window and door areas, we can provide marquee drapes, made to measure and in a variety of design styles to suit colour schemes and multiple purposes. Marquee drapes help to soften the outer edges of openings, adding a textural element to the appearance. As well as drapes, you can also talk to us about a range of marquee flooring options, including carpets, hardwood and coconut matting. We’ve been designing and building marquees since the 1950s, so we know a thing or two about how to make them look their very best. Get in touch to find out more.